Whim and humor are two of the qualities I look for in an image. 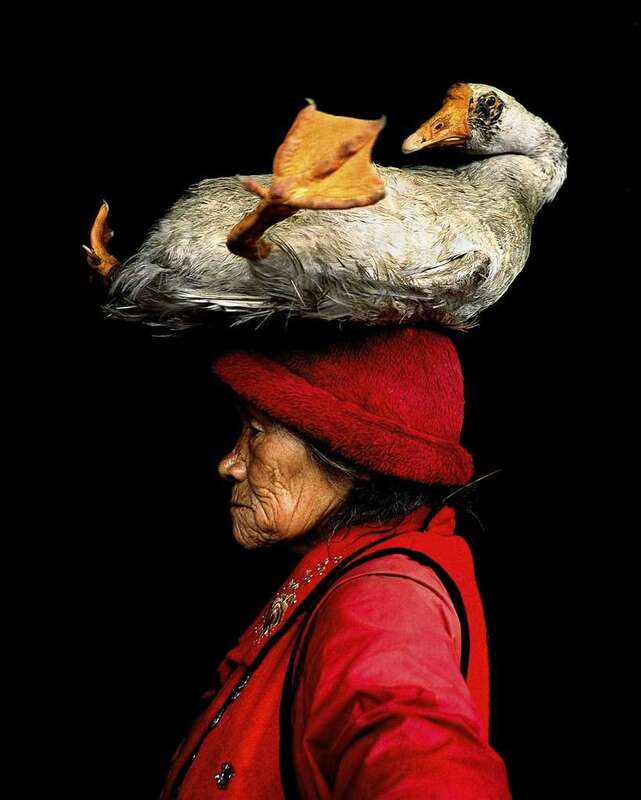 I photographed this Lisu woman from one of the Tibetan minorities in China, as she took her pet goose for a walk in a street market in the southwestern corner of China. The image, made with an old single reflex Yashica camera, always makes me smile.